You can’t delete issues? I have to read PDFs? What the heck, Apple? It’s not too hard to find a specific magazine on Apple News+ on a Mac. Just plug the magazine’s name into the “Channels, Topics, and Stories” search bar on the left side of the Apple News+ interface. Provided Apple News+ carries the rag, it immediately pops up. That search bar exists on iOS, but it’s unintuitively buried under the Apple News app’s Following tab, which requires you to leave the Apple News+ tab before you can use it. Apple emphasizes browsing in the iOS app, so you’re led to believe you can only find what you want by sifting through the “Browse the Catalog” tabs or the topical tabs for everything from Entertainment to Science & Tech. As far as searching for specific articles? Out of the question. Searching for magazines shouldn’t be this hard. It’s even worse if you want to look for past issues of a magazine. You have to repeat the search processes above instead of just accessing the magazine’s archives from the interface for the issue being read. Granted, within a day or so I already knew which magazines I’d be reading the most, and I doubt I’ll be searching for many more. Even so, a simple iOS search bar in the Apple News+ tab would go a long way toward making the onboarding process a lot friendlier for trial members. The less time we spend figuring out the interface and the more time we spend enjoying the articles, the better. Apple News+ can look amazing, especially when articles are formatted the way we saw on them on March 25. Animated live covers! Vivid photos! Subtle elements in the backgrounds of text! It’s hard not to love it in these cases. Fact is, a lot of Apple News+ isn’t like that. Indeed, many issues are little more than PDFs. And I’m not just talking about relatively obscure magazines: You’ll see this with some heavy hitters like Field & Stream, Maxim, and PC Gamer. 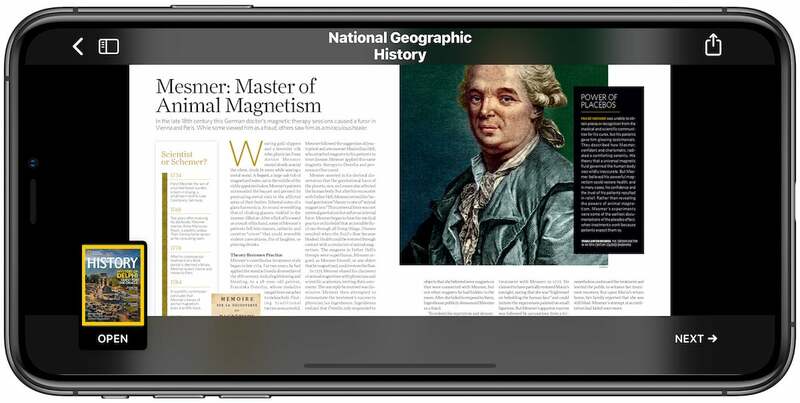 National Geographic proper is formatted, but National Geographic History is not. I don’t expect every magazine to impress me with a live cover, but I do expect that most will be formatted so I can comfortably read them on an iPhone. Plenty are—including Macworld, thank goodness—but plenty aren’t. It’s kind of nice to look at a PDF on a 12.9-inch iPad Pro, but trying to read one on an iPhone XS Max is simply annoying. I can barely imagine what it’s like trying to read one on a smaller iPhone. 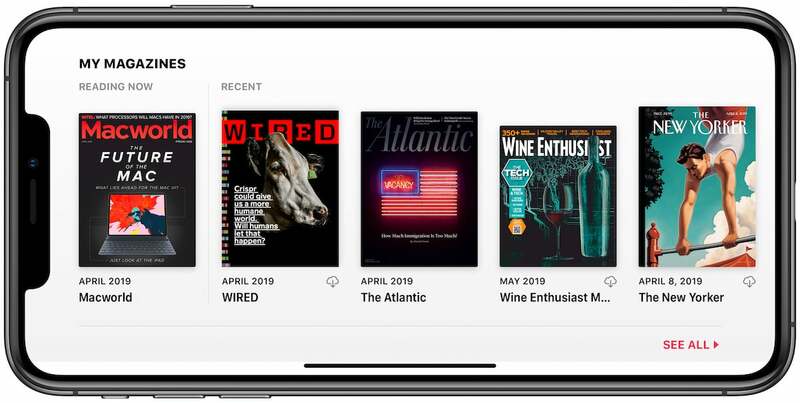 Apple may just want you to be happy that you can read these magazines for such a low price regardless of format, but in practice they’ll probably end up being skipped. In time, it may lead to skipping the subscription altogether. Almost nothing about this tells me how many magazines I’ve downloaded. This could be bad if you download a lot of magazines through Apple News+. A whopping number of magazines are just PDFs, after all, and Apple doesn’t let you know the sizes of the files. Worse, it doesn’t even let you see all the magazines you’ve downloaded in one place. If I was hard-pressed for storage (and with my 64GB iPhone XS Max, I sometimes am), magazines in Apple News+ would be among the first things I’d consider tossing overboard. Apple probably wouldn’t have to change much about the interface to include this feature. On iOS, it could work with a long-press: the exact same gesture you use to delete an app on the home screen. Boom, done. On a Mac, a right-click would suffice. This especially weirds me out since Texture—the app Apple bought in order to give life to Apple News+—did allow you to delete issues. That suggests a deliberate design decision on Apple’s part, and I can’t even begin to fathom its reasoning. 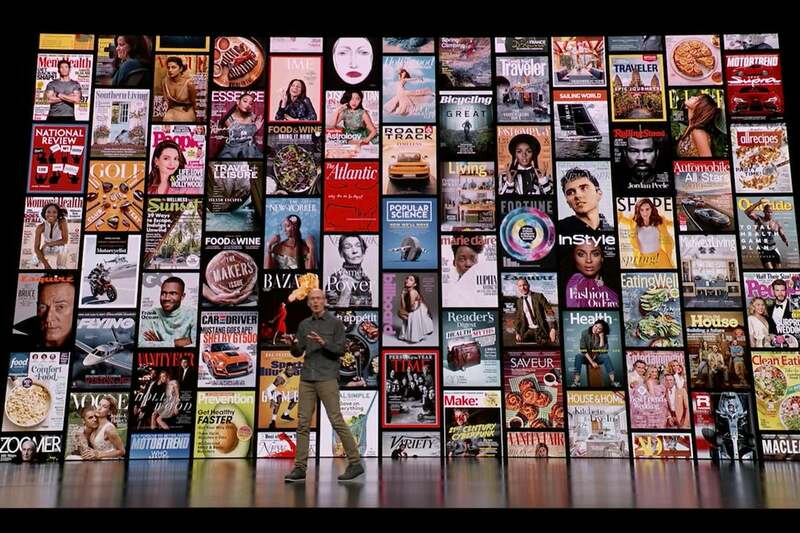 Apple made a big deal about how buying subscriptions to all the magazines included in Apple News+ will cost around $8,000, and sure, that’s a valid way of showing that Apple News+ is a good deal. The problem? I still don’t think it’s good enough to drop the subscriptions I already have. I typically see people talking about The Wall Street Journal in this context (which comes with its own quirks on Apple News+), but I’m specifically thinking of The New Yorker. I almost always read New Yorker articles through shared links on Twitter rather than links from the actual homepage, and a subscription keeps me from hitting the paywall once I’ve passed my monthly allotment of free articles. Apple News+ does no such thing when I read one of its articles through Twitter or Facebook. I have an Apple News+ subscription, but that means nothing to articles I access on the internet. 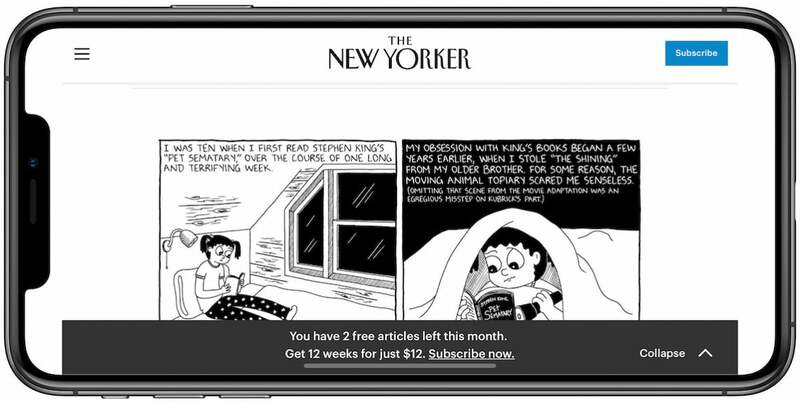 If I want to consider Apple News+ my main subscription, I’ll always need to visit Apple News+ when I want to read something on The New Yorker, so in all likelihood, I won’t be dropping my subscription. Here’s a caveat: It all depends on how often you read these magazines. I read something from The New Yorker—a weekly magazine, remember—almost daily, but that’s not the case with Wired (which I also subscribe to). I may, in fact, drop my Wired subscription since I read the print magazine more often than the website. This doesn’t bother me as much as some of the other drawbacks. “Hate,” in fact, is probably too strong of a word. But this problem certainly reveals that Apple News+ doesn’t fully account for some of the quirks of modern magazine reading, and I wish Apple made those limitations more clear from the start.